Be able to define 3 spatial attributes of a raster dataset: extent, crs and resolution. Find a raster’s spatial metadata in Python. 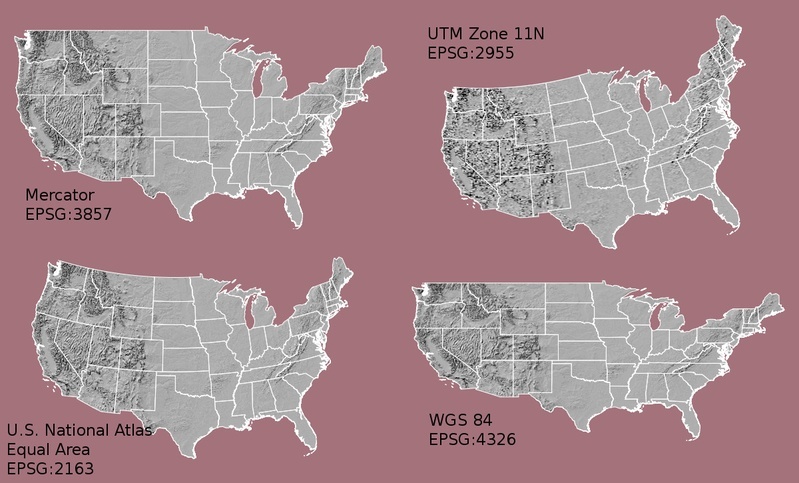 You will learn about three important spatial attributes associated with raster data that in this lesson: Coordinate Reference Systems, resolution, and spatial extent. The Coordinate Reference System or CRS of a spatial object tells Python where the raster is located in geographic space. It also tells Python what mathematical method should be used to “flatten” or project the raster in geographic space. You will discuss Coordinate Reference systems in more detail in next weeks class. For this week, just remember that data from the same location but saved in different coordinate references systems will not line up in any GIS or other program. Thus, it’s important when working with spatial data in a program like Python to identify the coordinate reference system applied to the data and retain it throughout data processing and analysis. You can view the CRS string associated with your Python object using thecrs() method. You can assign this string to a Python object, too. The CRS EPSG code for your lidar_dem object is 32613. Next, you can look that EPSG code up on the spatial reference.org website to figure out what CRS it refers to and the associated units. In this case you are using UTM zone 13 North. Digging deeper you can view the proj 4 string which tells us that the horizontal units of this project are in meters (m). The CRS format, returned by python, is in a EPSG format. 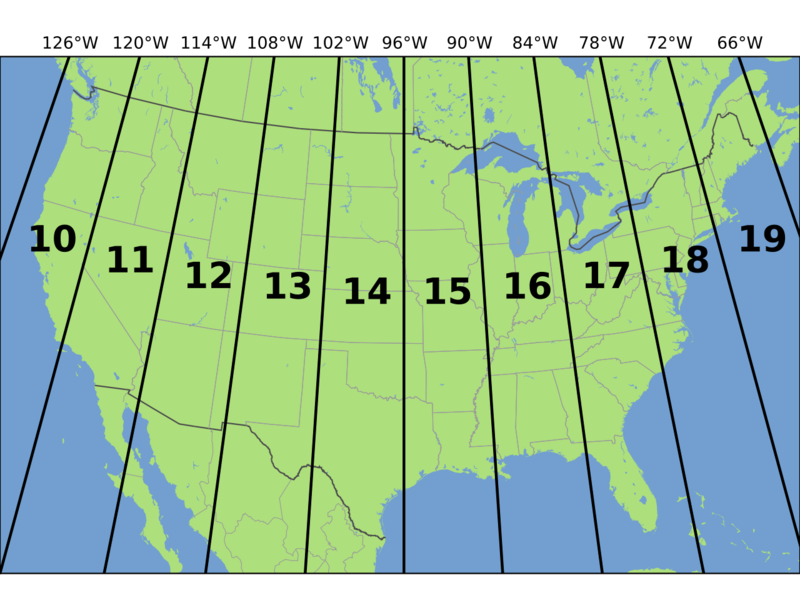 This means that the projection information is represented by a single number. However on the spatialreference.org website you can also view the proj4 string which will tell you a bit more about the horizontal units that the data are in. An overview of proj4 is below. Important: IMPORTANT: You are working with lidar data which has a Z or vertical value as well. While the horizontal units often match the vertical units of a raster they don’t always! Be sure the check the metadata of your data to figure out the vertical units! 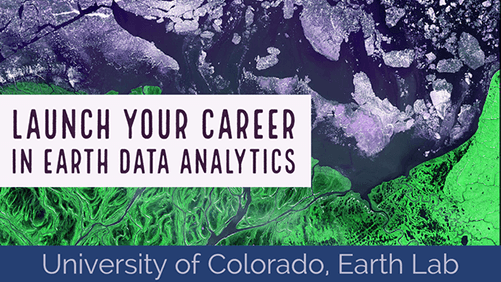 Next, you’ll learn about spatial extent of your raster data. The spatial extent of a raster or spatial object is the geographic area that the raster data covers. The spatial extent of an Python spatial object represents the geographic “edge” or location that is the furthest north, south, east and west. In other words, extent represents the overall geographic coverage of the spatial object. You can access the spatial extent using the .bounds attribute in rasterio. A raster has horizontal (x and y) resolution. This resolution represents the area on the ground that each pixel covers. The units for your data are in meters as determined by the CRS above. In this case, your data resolution is 1 x 1. This means that each pixel represents a 1 x 1 meter area on the ground. You can view the resolution of your data using the .res function.